What is New with Weight Watchers Plans & Programs for 2019? One of the major changes for Weight Watchers in 2019 is reinforcing their Mission focusing on overall Health and Well-being. To reflect the next stage of the company’s evolution to focus on overall health and wellness, Weight Watchers International, Inc. will become WW, honoring their legacy while broadening the role they play in helping everyone live healthier lives. They introduced a new tagline, ‘Wellness that Works’ reflecting their heritage and overall approach to health and well-being of inspiring powerful habits rooted in science. They will always be the global leader in weight loss, but now WW welcomes anyone who wants to build healthy habits; whether that means eating better, moving more, developing a positive mindset, focusing on weight, or all the above! Their new official business name is WW (no longer Weight Watchers) and their new plan names are now Digital & Workshop + Studio. 2) Meetings with OnlinePlus is now ‘Digital + Studio’ and the meeting curriculum will now be referred to as a ‘Workshop’. The non-discounted pricing has stayed the same ($44.95/month + $20 Starter Fee) and we will have updated Studios and curriculums rolling out. 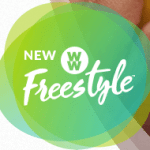 3) WW Freestyle, which launched April 2017, is still their program and nothing has changed in terms of their science-backed SmartPoints® system and how they are calculated. The Freestyle program is made to help people get more out of their weight loss efforts while keeping their routines in check. This does not have all the difficult restrictions that people might assume a weight loss service would come with. The beneficial qualities of the Freestyle program make it one of the most exciting for people to explore for their weight loss requirements. You will get a SmartPoints total based on the dietary content you need to work with in a day. Your goal is to consume foods within that SmartPoints total. This includes a focus on handling healthier options that have fewer points. You will also learn more about portion control while on the program. Your points can also roll over from one day to the next. This is for cases where you have some points leftover from one day while on the plan. The system is very easy to understand and follow. It only takes a few moments for you to get your appropriate point total ready. After you get this, you can use the convenient online database offered by Weight Watchers to get an idea of what you might lose over time. The database can be accessed on your mobile device as well. You can use this when eating out or at the grocery store. This gives you a clear idea of what you are doing with your weight loss plans plus points on what you can do to keep your weight off the right way. The detailed support offered here is vital to your success. Since 2015, Weight Watchers stock has been on a steady decline. The introduction of Oprah Winfrey as new spokeswoman was designed to help prop of exposure to the program and introduce more members. In addition, great promotions and coupons can be expected in 2019 to entice new members to join. US: 50% off All Plans! The ways how Weight Watchers factors in points into the weight loss process have changed. The SmartPoints system is changing how it reviews fats in foods. Saturated fats have more points to them than regular fats and therefore will be calculated separately. Also, carbohydrates and sugars will be separate from one another in the measurement process. The key here is to create a more accurate readout for how such compounds are consumed. Fruits and vegetables will still have zero points attached to them, but it helps to look at the values associated with other foods. Weight Watchers has changed its point totals for most foods you might find, so feel free to look around to see what you can get out of certain items of value to you. Also, your gender will be factor for how many points you will have in your plan. Weight Watchers is using this change to influence how women and men alike can use the system. Fruits and vegetables are still on the list. Healthy proteins like eggs and skinless chicken breasts are on the list. Many types of seafood have zero points as well. These include many types of fish with healthy fats. Of course, this is all based on how the foods are prepared. The extensive listing of zero-point foods gives you more freedom on the program. You can use these foods alongside others in your routine to get the most out of your work. What About the Company’s Foods? Weight Watchers is planning on producing some meals for home delivery that can be sent out to your home. These are optional parts of your plans, but the home delivery feature makes it easier for you to get the portions and nutrients you need for losing weight. It is unclear as to what meals will be available. However, this move is coming as many food delivery services have been popping up in recent time and have been offering great ways for people to lose weight and keep it off. One feature to see entails the work Oprah Winfrey has done with Weight Watchers. The prominent media mogul has partnered with Weight Watchers and has been marketing the service to others. There is a potential that she could use her branding on some of the foods that may be available in the future. This would be a big deal, what with Winfrey being popular enough to where some thought she could run for the presidency in 2020. People who follow the program and take advantage of zero-point foods are not as likely to have food cravings during the day. They feel more energetic and are less likely to bear with hunger. Participants are also very satisfied with the weight loss efforts they have entered into. They like how they can get good results in a few months. Everyone is also loving the flexibility that comes with the Freestyle program. They love that they have more freedom with choosing foods and that they are not going to struggle for long with trying to lose weight off of the program. These reviews show that the Freestyle program is very useful for many weight loss demands. Those who need help with losing weight will see that the program doesn’t have all those annoying limits and restrictions that other programs often come with. The total weight loss one will get from the Freestyle program will vary based on one’s efforts in losing weight. You can lose about one to two pounds per week while on the program. This provides you with a consistent and healthy amount of weight loss that gives you results. You will not feel tired or worn out either. The gentle rate of weight loss also ensures that it is your fat being burned off and not any muscle mass. The personalized coaching that you can utilize alongside the Freestyle program will help you do more with your weight loss efforts. With personalized coaching, you will get access to one-on-one meetings where you can get help from someone who understands what you can do to succeed and more forward with your efforts. Your coaching support is fully confidential and will give you the specific answers you need for staying healthy. The details that are provided to you by a coach will be vital for helping you to see how you can lose weight and keep it off. On a related note, you can also benefit from the traditional meetings Weight Watchers offers. These meetings are organized to allow you to learn more about how you can lose weight. You can talk with others who are on the program about what to do and how to stay on the plan. The main goal of the meetings is to get everyone involved to feel empowered and ready to do anything when losing weight. The strong effort that is promoted through the meetings will be vital to the needs that people have for losing weight right. The pricing associated with the Weight Watchers program deserves to be noticed. With this program, you can get access for as little as $3.22 per week. This price is for introductory members. You can spend extra for personalized coaching or for access to Weight Watchers meetings throughout the country. Whatever it is you choose to get into, you will find that the Weight Watchers program is remarkably affordable. But you should also look at some of the special deals that come with using the program and how they can work to your benefit. Many great promotions can be found throughout the year. These include deals for up to 40% off of certain plans. Take a look around regularly to see what promotions are available. Be advised that most of these offers are good only for new customers. The promotions may also vary between the United States and Canada. People who are looking to see what the Weight Watchers program will have to offer in 2019 will surely be excited to see what makes it work. The Weight Watchers program will help people to stay healthy and in control of their lives. Take a look at what is available when finding something dynamic and appealing for your use.